With tornado season fast approaching or already underway in vulnerable states throughout the U.S., new supercomputer simulations are giving meteorologists unprecedented insight into the structure of monstrous thunderstorms and tornadoes. 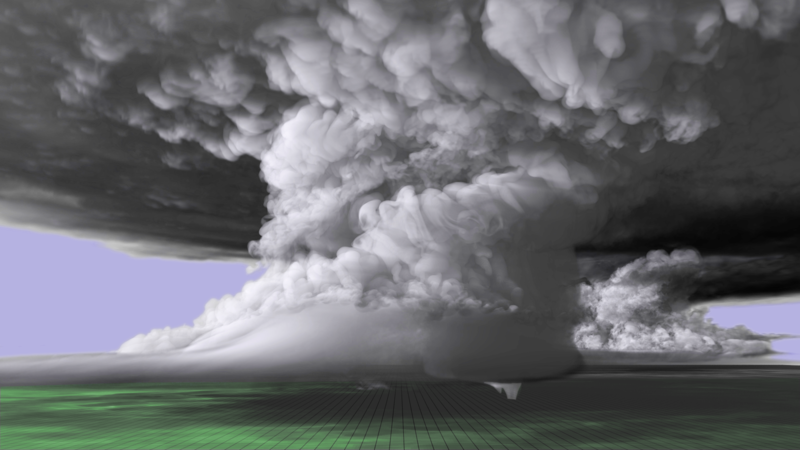 One such recent simulation attempted to recreate a tornado-producing supercell thunderstorm that left a path of destruction over the Central Great Plains in 2011. The researcher behind that simulation is Leigh Orf, a scientist with the Cooperative Institute for Meteorological Satellite Studies (CIMSS) at the University of Wisconsin-Madison. He leads a group of researchers who use computer models to unveil the moving parts inside tornadoes and the supercells that produce them. The team has developed expertise creating in-depth visualizations of supercells and discerning how they form and ultimately spawn tornadoes. When a tornado is fully formed, the simulation reveals several structures that make up the tornado, including the streamwise vorticity current (SVC), thought to be a main driver of the tornadic activity (seen in yellow). Orf explains that unlike a typical computer program, where code is written to deliver consistent results, modelling on this level of complexity has inherent variability, and in some ways he finds it encouraging as the real atmosphere exhibits this variability, too. Digitally resolving a tornado simulation to a point where the details are fine enough to yield valuable information requires immense processing power. Fortunately, Orf had earned access to a high-performance supercomputer, specifically designed to handle complex computing needs: the Blue Waters Supercomputer at the National Center for Supercomputing Applications at the University of Illinois at Urbana-Champaign. A colorized image of the tornado-producing supercell nearly 20 miles long and 12 miles high. 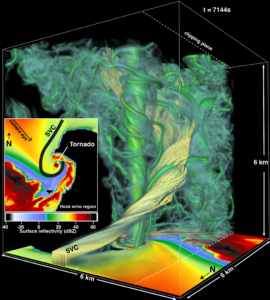 The imagery from the simulation was built upon real world data collected near the May 24, 2011 supercell, which spawned several tornadoes including the EF-5 that touched down near El Reno and Oklahoma City, OK. Looking ahead, Orf is working on the next phase of this research and continues to share the group’s findings with scientists and meteorologists across the country. In January 2017, their research was featured on the cover of the Bulletin of the American Meteorological Society. Support for this research was provided by CIMSS, the College of Science and Technology at Central Michigan University, and the National Science Foundation. This research is part of the Blue Waters sustained-petascale computing project, which is supported by the National Science Foundation and the State of Illinois. Blue Waters is a joint effort of the University of Illinois at Urbana-Champaign and its National Center for Supercomputing Applications. 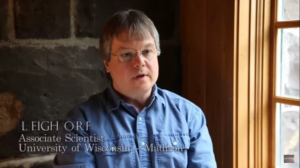 Orf’s collaborators include: Robert Wilhelmson, University of Illinois Department of Atmospheric Science, Bruce Lee of High Impact Weather Research & Consulting, LLC and Catherine Finley of St. Louis University. Lee and Finley are members of TWISTEX , the team that included Tim Samaras, who passed away in the May 31, 2013 El Reno Supercell.